Melt the butter in pan at approx. 300 degrees F.
Sauté the oysters in the melted butter for 2-3 minutes. Remove from the pan & quarter. Mix all other ingredients in bowl, including the oyster liquid. Control the thickness of the fritter batter by the amount of oyster liquid that you add.Mix in the oysters. 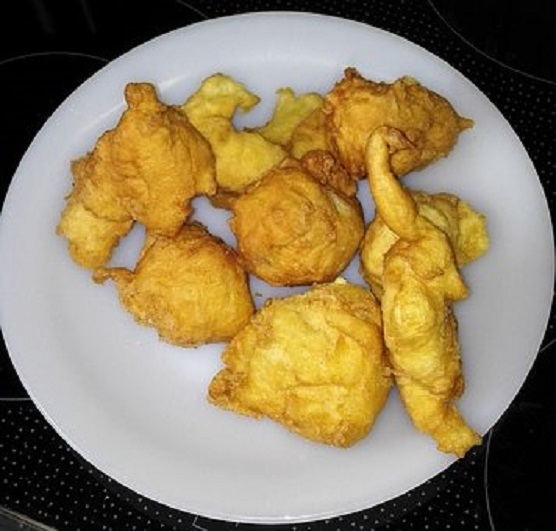 Drop a tablespoon full of the batter into the pre-heated oil and fry fritters until golden brown.